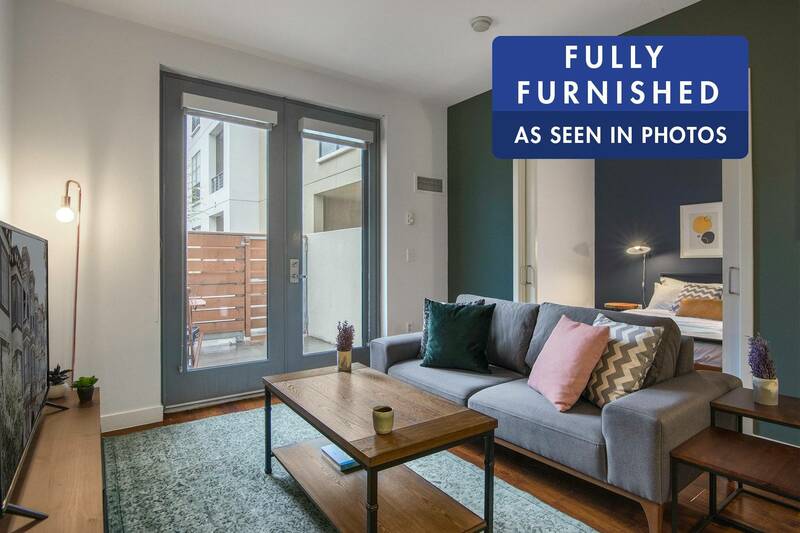 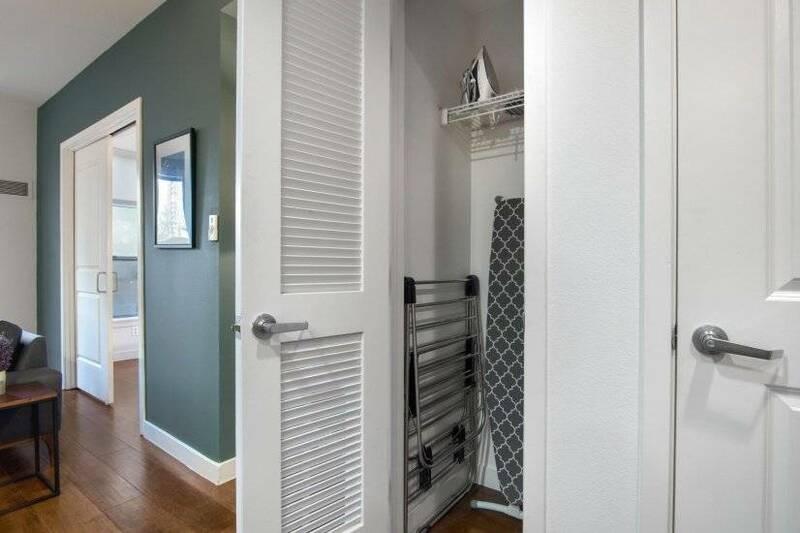 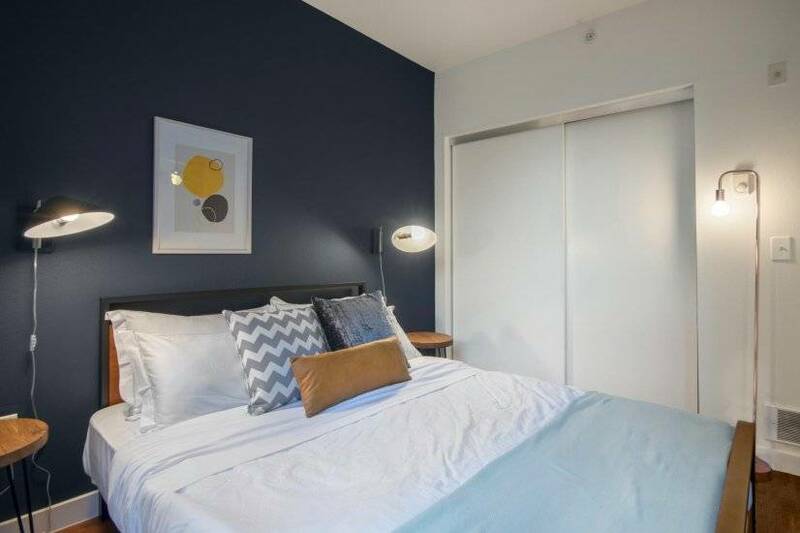 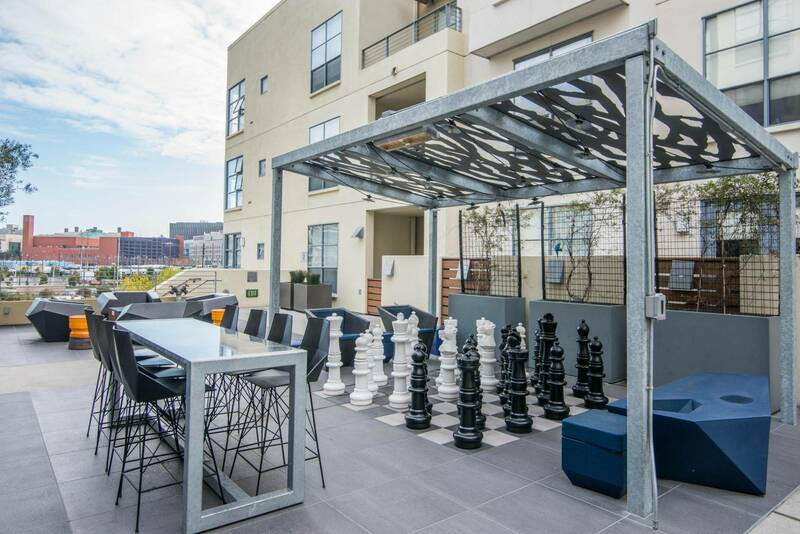 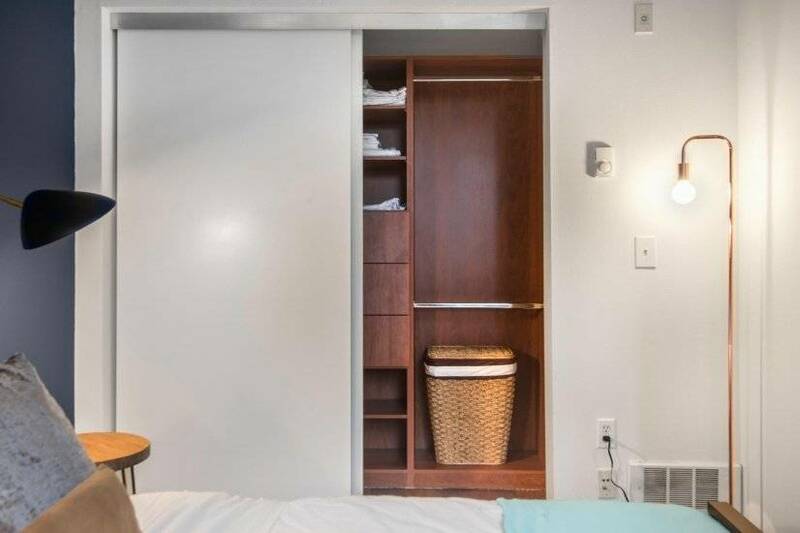 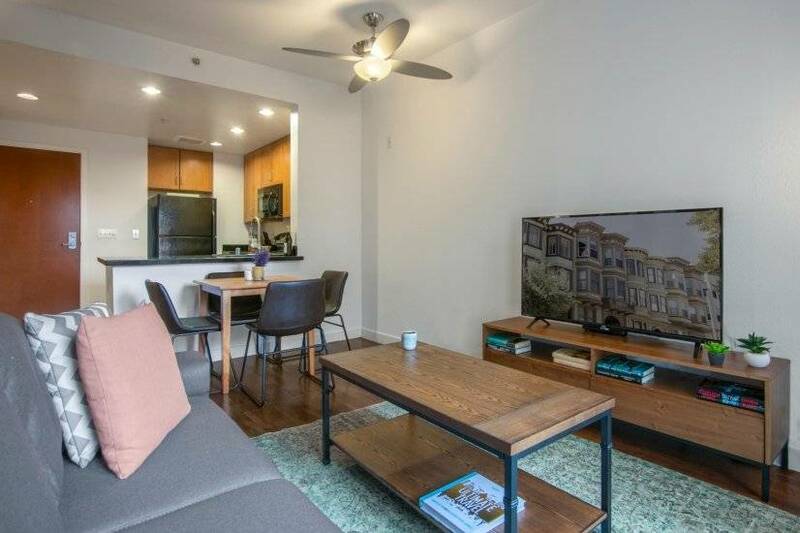 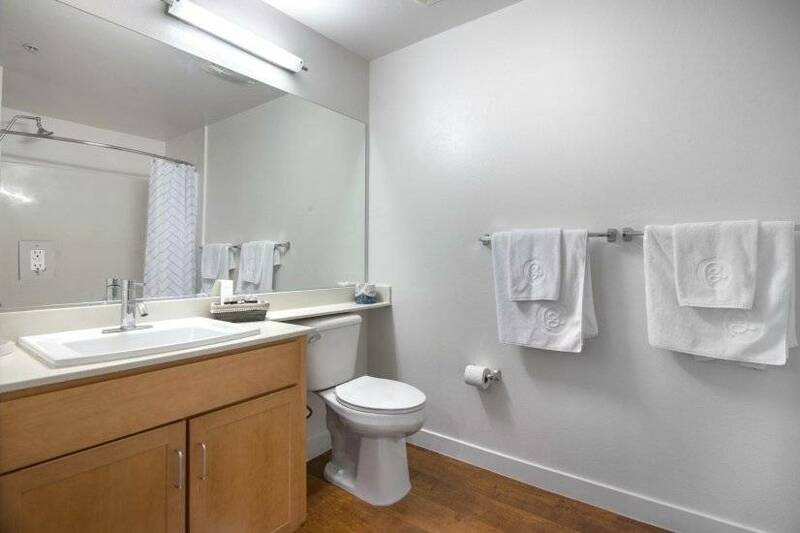 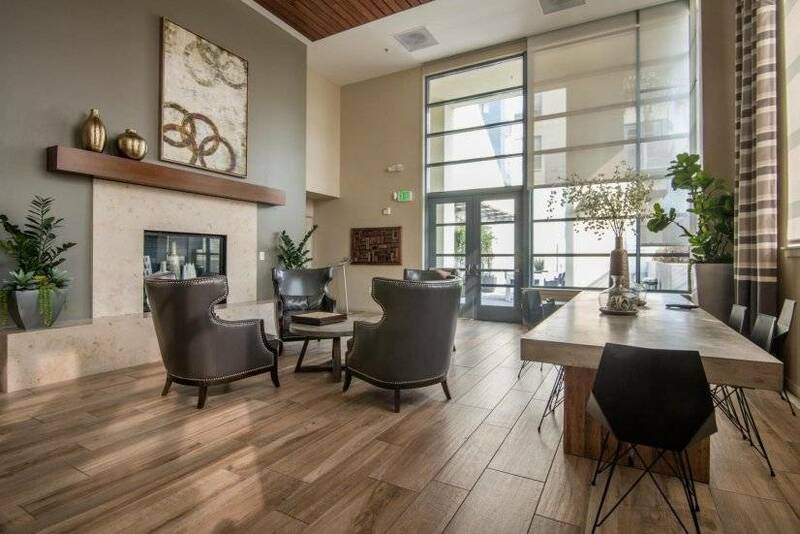 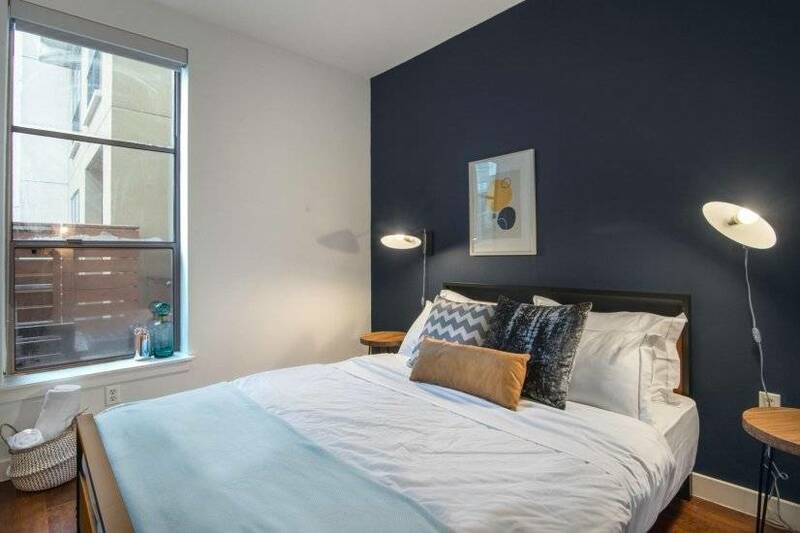 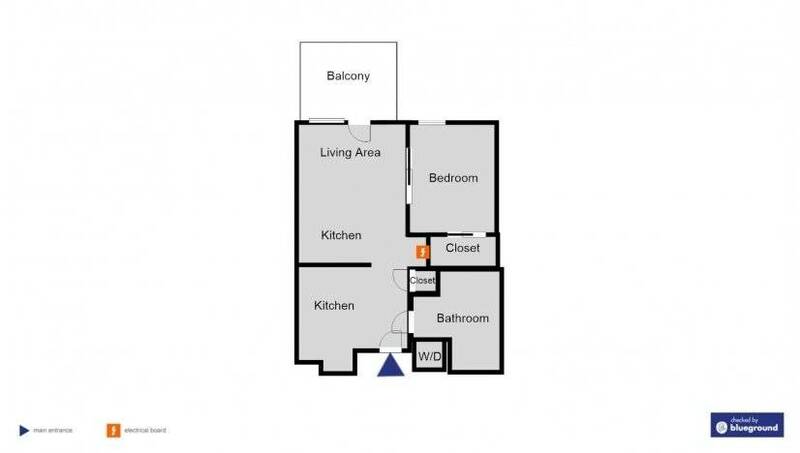 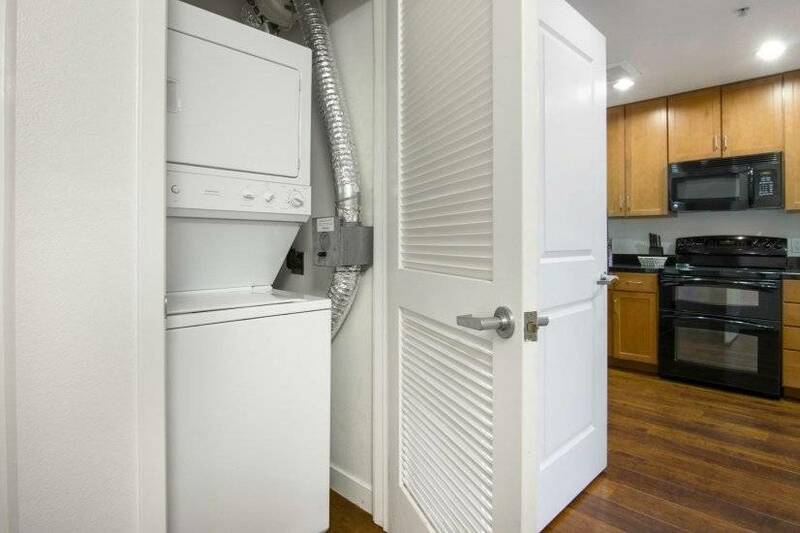 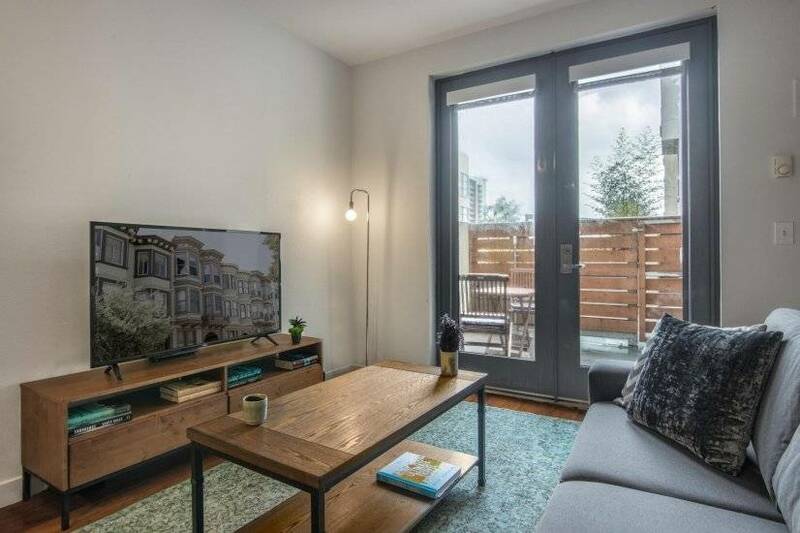 This furnished apartment is located in Mission Bay, bordered by Dogpatch and China Basin. 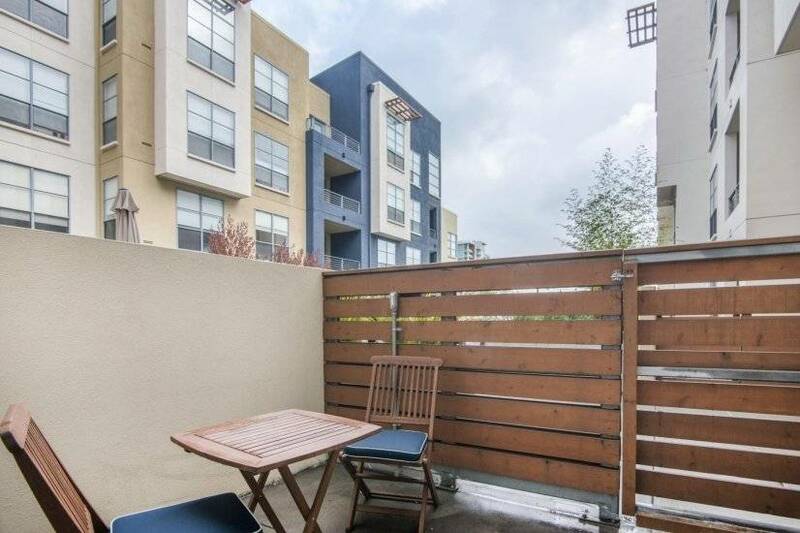 Originally an industrial district, it has undergone serious redevelopment. 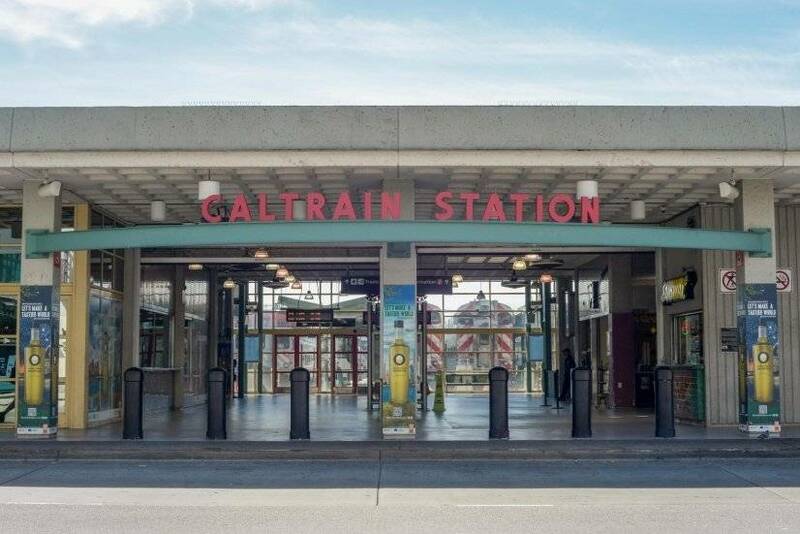 This up and coming neighborhood has gained popularity ever since the University of California San Francisco made it the site of its research campus. 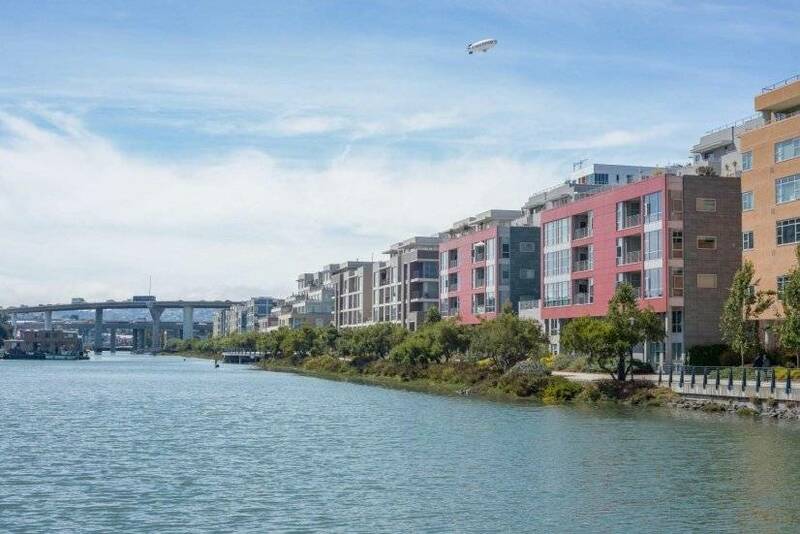 Mission Bay is populated by students and tech professionals from all around the world. 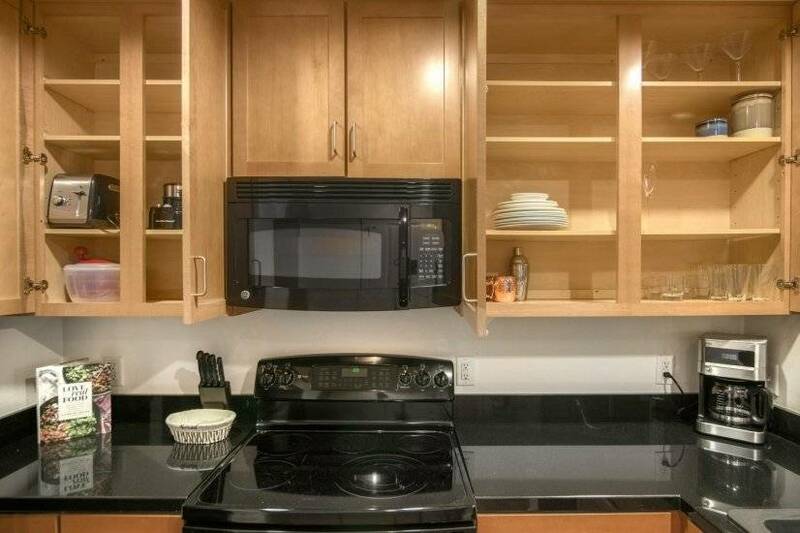 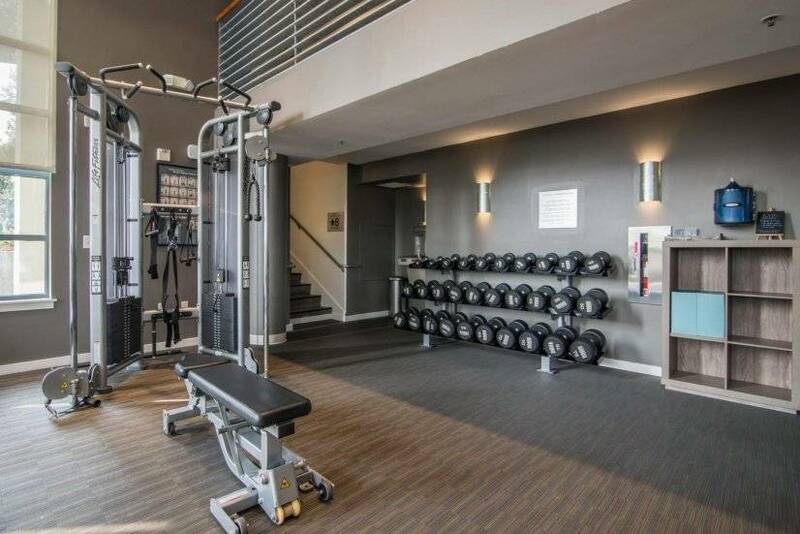 The famed AT&T Park (home of the SF Giants baseball team) is only short walk away. 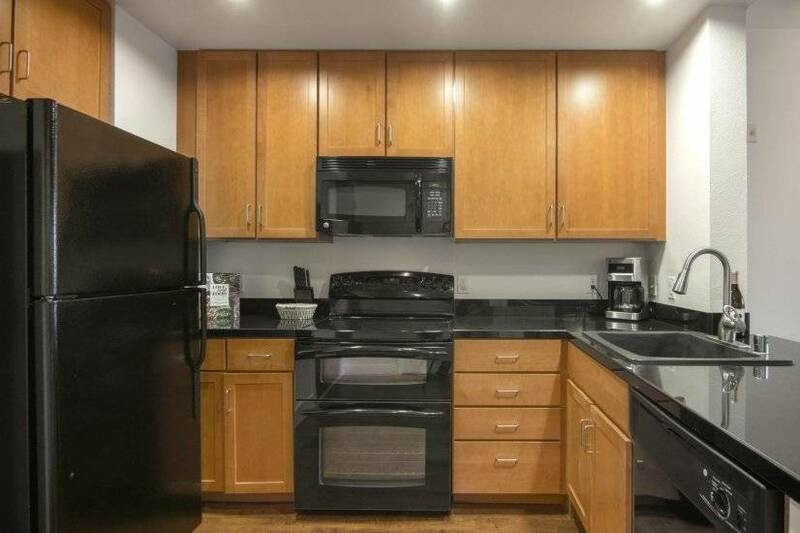 The apartment is only 1 minute away from Berry Street & King Street Station.